Scientific advances have always benefited humankind, but never like this! Dr. Walter Prescott has discovered a formula to convert inanimate objects into…GOLD! We don't quite know how, but all those countless days squirreled away in his laboratory have paid off in MAD SCIENTIST! Get 3 or more Bio Hazard symbols on an active payline in a winning combination to activate the bio pick me feature. When the Tesla Coil symbol occurs on reels 1 and 5 on paylines 1, 2 or 3 the Wild’o’Cution will occur! The Tesla coils will activate, shocking themselves and the symbols between them to instantly turn them into wild symbols, increasing your chances to win. 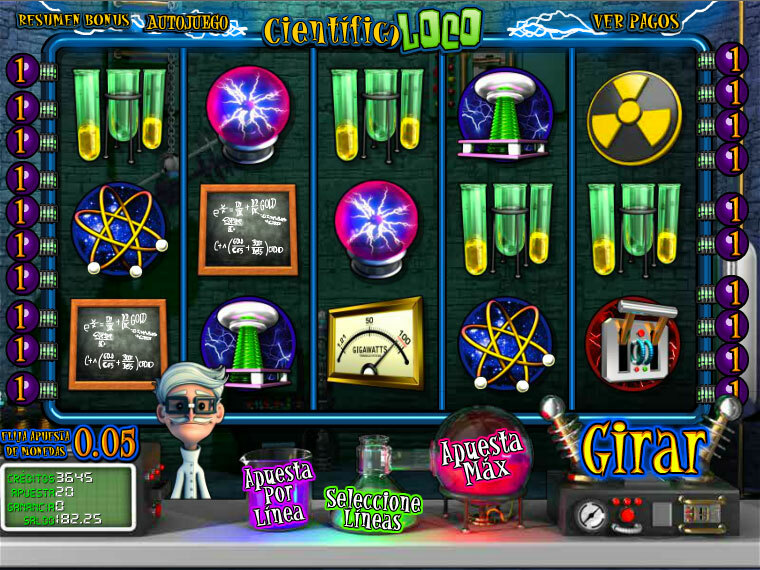 3 or more scattered Test Tube symbols in any position on any active payline triggers the Mad Scientist second screen bonus round. 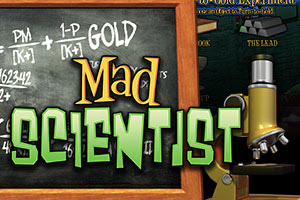 Join the Mad Scientist in his final test of his long awaited Turn To Gold serum! Select an object to test with the serum. Your winnings will be awarded once you have helped the scientist complete his tests!